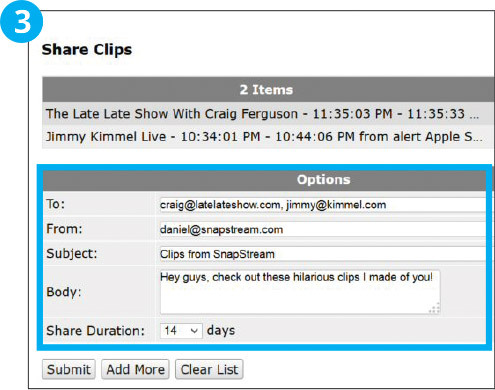 The SnapStream clip sharing feature allows you to send a playable link by email to anyone - not just other people who have access to your network. SnapStream share links will play back on just about any device with an Internet connection. 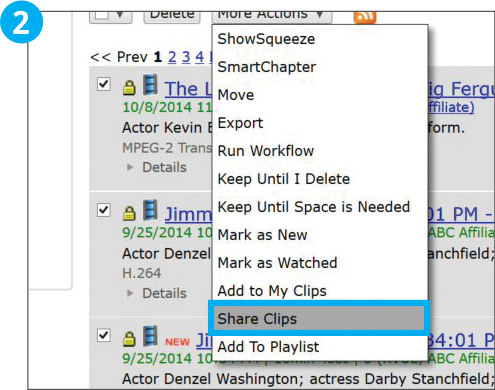 One way to share clips is through the Library, in "All Clips" or "My Clips." Just click the "Share Clip" link for an item. Or select multiple items using the checkboxes, then click More Actions > Share Clips and share them all at once. Enter any number of To email addresses, a From address, and if you like, a subject and body for the email. 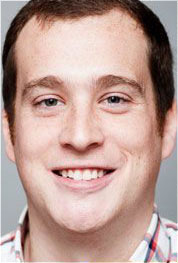 You can also change how long the shared link will remain active, from 7-180 days. You can also share a clip immediately after you create it. 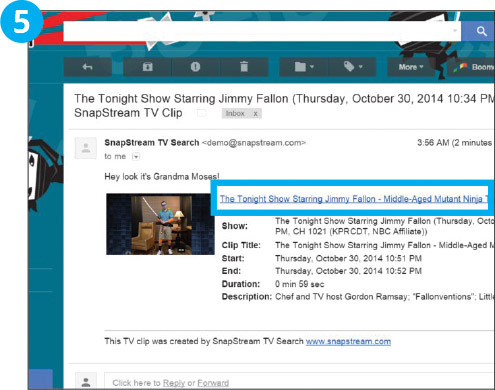 To do this, select "Share via SnapStream" in the Clip And field when submitting the clip. Once the clip is uploaded, the recipients will receive an email with links to play back the items you shared. The player page will include information about the recording and closed-captioning data, as well as options to download the video or view the transcript. 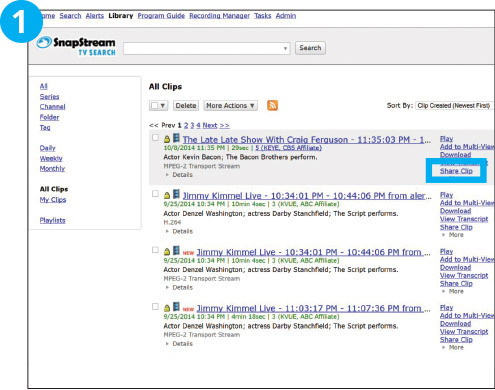 Anyone can play the clip you shared, even if they don’t have access to SnapStream!